This past March and April, my husband and I spent six, wonderful weeks in Buenos Aires. For the better part of a year, we call Victoria Beach in Nova Scotia, Canada our home. This was the first time either of us had been to South America. On our second day in BA, we had the good fortune to meet Peter Robertson, a lovely, kind man who was brave enough to take us under his wing and become our guide and translator for the duration of our stay. We often met Peter at a little cafe across the street from the apartment where we stayed. There we had wonderful talks on all manner of things and quickly became friends. I was particularly interested in his profession as an accomplished writer and his literary quarterly, Interlitq. Having begun a blog of my travels two years ago, I love having conversations with other more experienced writers which give me the opportunity to not only share the joy of writing, but also the hard work and dedication that goes with it. Peter was the perfect person to discuss this with, and it wasn’t long before we came up with the idea to write something about him for Interlitq, and what better way than for me to play the part of the interviewer so his readers could learn more about him. Of course, I was thrilled that he would ask me to contribute something to his quarterly so immediately looked up his website. I was flabbergasted at the scope of the material that he has amassed from such a talented group of writers from all over the world. There was so much to read on almost every topic and country on this planet, but almost nothing on the man who was responsible for bringing it all together. It was immediately apparent to me that, indeed, he needed to let his readers in on just who he is and what he sees for the future of Interlitq. Here is my interview with Peter. 1. Tell us a bit about your early life before BA, such as where you were born and raised, educated, previous career, and places lived. I was born in Glasgow, Scotland and brought up there and in East Dunbartonshire and Perthshire. My adolescence was spent in a small town called Alyth, with a population of less than three thousand people. I spent a lot of my youth walking in the hills above the town. I went to a school five miles away, in Blairgowrie. After some time in London and Norway, I went to Cambridge University, before returning to London. I worked as a teacher and then as a United Nations linguist and researcher before founding Interlitq. I have also lived in Spain and Argentina: in Madrid for five years and Buenos Aires for sixteen years. 2. Why did you choose Buenos Aires as your place of residence? After my time in Spain, I felt the need for a change, but I wasn’t quite sure where to go. I didn’t want to return to the UK. It made sense for me to choose a Spanish-speaking country. Then in Madrid, I started to meet Argentines so my interest in that country grew. In the end, it was instinct, a leap of faith, and I am still here. 3. How did your passion for writing evolve? For as long as I can remember, I loved words. So it made sense for me to study literature at University. It’s hard to stand back from oneself and engage in self-analysis as it tends to be a futile exercise, bound up with obfuscation, self-justification, and delusion. The important thing for a writer is to have interesting stories to tell, and then to have the necessary skill with words to tell these stories. 4. What has been the most outstanding achievement of your writing career? It is for others to tell me if anything I write is outstanding. I was quite happy with “A Chorus of Ghosts”, but that was written quite some time ago. I would be interested in writing further examples of literary journalism. I find it a fascinating genre. I am also very keen to return to writing fiction. 5. Regarding Interlitq, what is its main focus and where would you like to see it go in future? Interlitq publishes international literature in many languages and is complemented by artwork. The overriding objective is to keep the publication going. We have got to that point after eight years and many vicissitudes. Then, once the review’s stability is more entrenched, to aim always to make it better. At this stage, Interlitq is becoming more flexible in its outlook. Originally the review was conceived as a quarterly, but is now publishing on a more regular basis, with featured interviews, so this is an interesting development, and we will consequently engage with new readers. 6. What advice can you pass on to all aspiring writers like myself? Find the way that works for you. There is no one-size-fits-all. Beware of facile formulae. Do not sit and wait for inspiration – it hits the page as one is writing. Thank you, Peter, for letting us catch a glimpse of who you are, your plans for the future of Interlitq, and most importantly for me and I hope other aspiring writers, your words of wisdom on how to approach the craft of writing. 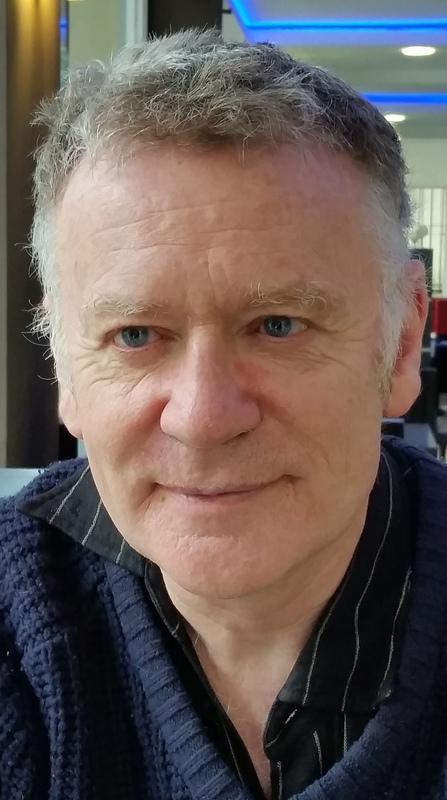 Peter Robertson – Founder and President of Interlitq.